Hello. This is Danny. I am away from my desk right now. I am busy talking about drawing — in Kuala Lumpur, and then in Beijing. I will return at the end of September and will get back to you as soon as I can. I tryed to post things since Shanghai in Jully, but with a smart phone it was impossible, so better to have a nice time drawing and showing us when you will be back! Welcome to China, Danny – it’s a great pity that you’re not able to stop off in Shanghai! 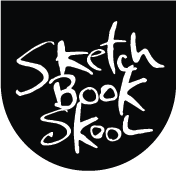 I’m sure you will find lots and lots of inspiration for drawing while you are in the Middle Kingdom – looking forward to seeing your adventures in sketch form.